Wilson Advisory Staff. Adidas Tennis Ambassador. Alvin Jogasuria holds a professional tennis certification USPTA for the past 3 years. Coach Alvin specializes in catering the tennis lesson to be as joyful and as memorable as it can be for his clients. Coach Alvin focuses in providing individualized training plan that fits the athlete’s skill, ages, and level. Coach Alvin has been instrumental in pioneering an adaptive tennis program, Buddy Up, a tennis program for down-syndrome athlete in the Northeast Ohio. Coach Alvin has a specialty in adaptive tennis, focusing with athletes of any disability. 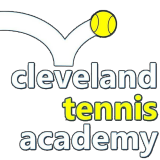 His tennis career began with his involvement with University of Akron Women’s Tennis team, and was a full-time tennis professional at Lake Forest Country Club and at Towpath Racquet Club. Coach Alvin hails all the way from sunny California, moved to Ohio and is now residing in Akron, Ohio. 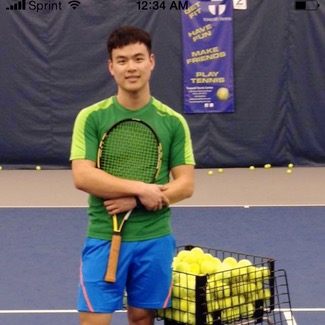 Coach Alvin has keen work-ethic and unique approach to get kids engaged in the tennis program, and ability to transform a non-athlete to become an athlete in an instant. His innate gift of understanding your children needs truly reflected on how kids are fully engaged physically and mentally during his lessons. Coach Alvin commitment also extends to utilizing the latest tools and gadgets to improving your game. Coach Alvin is avid learner in the game of tennis, aside from keeping up with the latest fundamentals, he uses the modern way of teaching tennis through sport-analysis software. Even as a youngster, Coach Alvin started touring internationally at the age of 11. Coach Alvin earned an academic scholarship at UC Berkeley, also coaching tennis on the side, while pursuing his endeavors in understanding the intricacies of Human Biology.